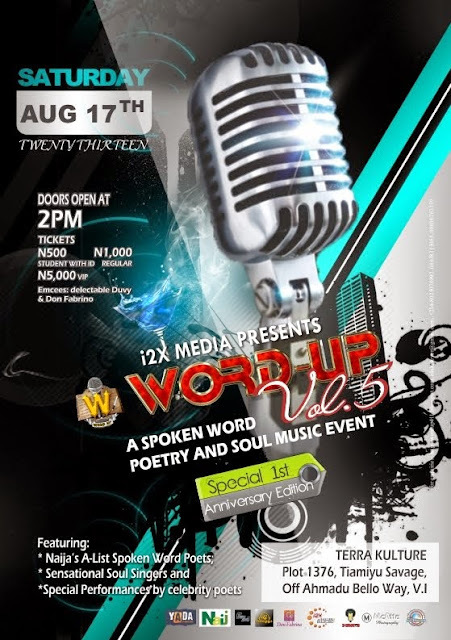 WORD UP: The Preview of WORD UP Volume 5 holding on August 17, 2013. The Preview of WORD UP Volume 5 holding on August 17, 2013. Celebrity Poet of the day, Toni Payne. off Ahamdu Bello Way, Victoria Island, Lagos. Please, when is the next war of words?? Missed the last one. Video submission for War Of Words Season 2 will start from September. Stay tuned. More Pixs from War Of Words...!!!! To win, all she did was show up!!! The Pidgin Spoken Word Poetry Maestro!!!! Is this Poet always hard?? ?